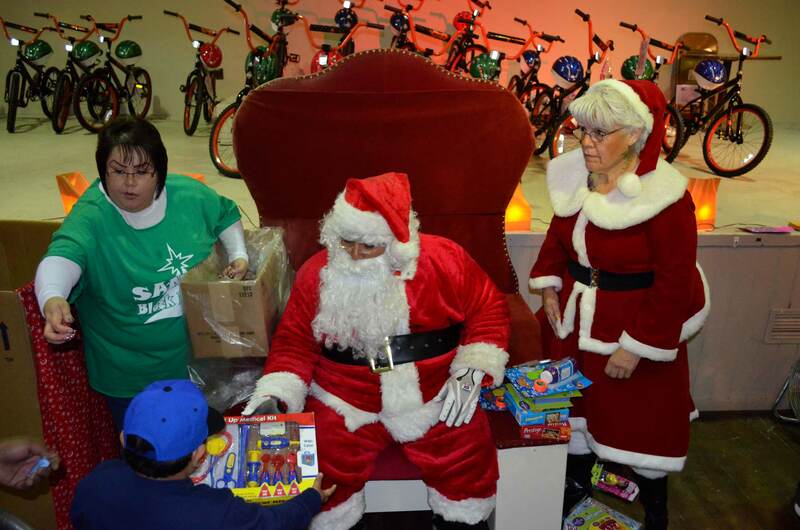 Santa Claus and Mrs. Claus arrived via fire truck at El Casino Ballroom on December 18 to make the holidays a little bit brighter. 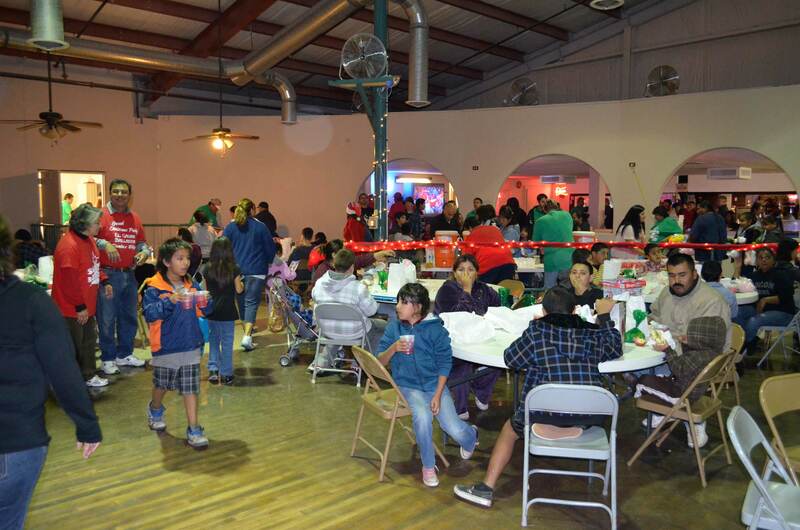 Children of literally hundreds of Tucson families going through rough times were treated to a meal, snacks and Christmas toys served up by Santa and an army of volunteers from El Casino Ballroom, the Latin American Social Club, the Silhouettes and other public service organizations. 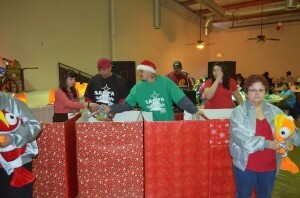 Each child received a raffle ticket on his or her way in. If you were lucky enough to hold the winning number you rode off on a brand new bicycle. But most every child got to see Santa, receive a toy and get something to eat. 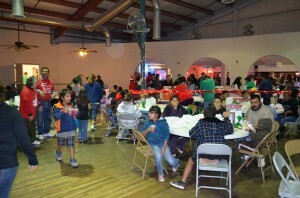 The event has been a Christmas tradition for many years. 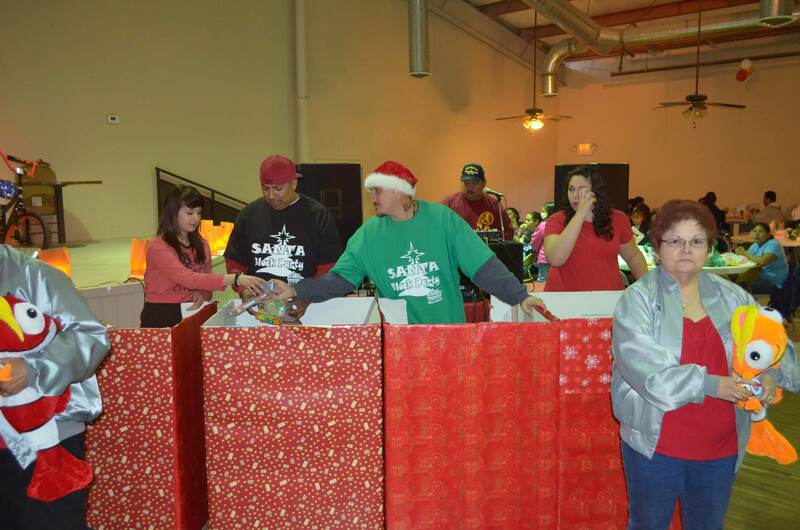 The huge number of families served this year is indicative of the hard economic times Tucson is experiencing. El Casino’s 65 years of service to Tucson’s multicultural community will be celebrated in 2012 in the next installment of the Cine Plaza at the Fox documentary series, as well as a series of events with community radio station KXCI and the Latin American Social Club. ~ by Daniel Buckley on December 31, 2011.